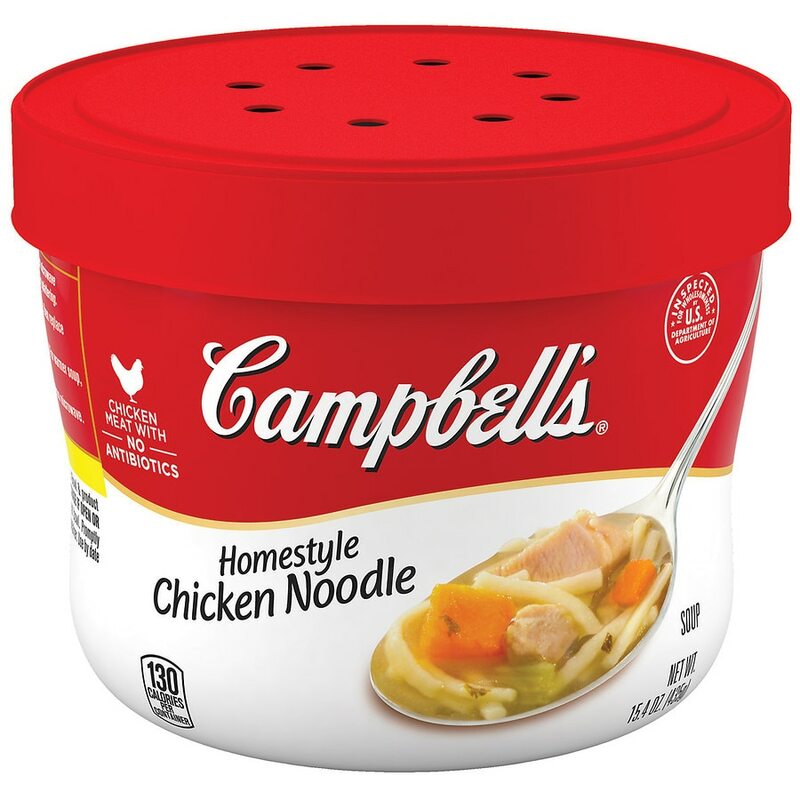 Campbell's® Homestyle Chicken Noodle Soup Microwavable Bowl is crafted with delicious chicken meat with no antibiotics, vegetables, enriched egg noodles and spices. Enjoy the rich flavors of a classic homemade soup on the go. Satisfaction guaranteed. If you have questions or comments, please call 1-800-257-8443. Please have code and date information from container. Microwave ovens vary. Time given is approximate. Uneven microwave heating may cause popping, movement of the bowl and/or splattering. Careful; leave in microwave for 1 min.